Love Nature, Love to Learn! 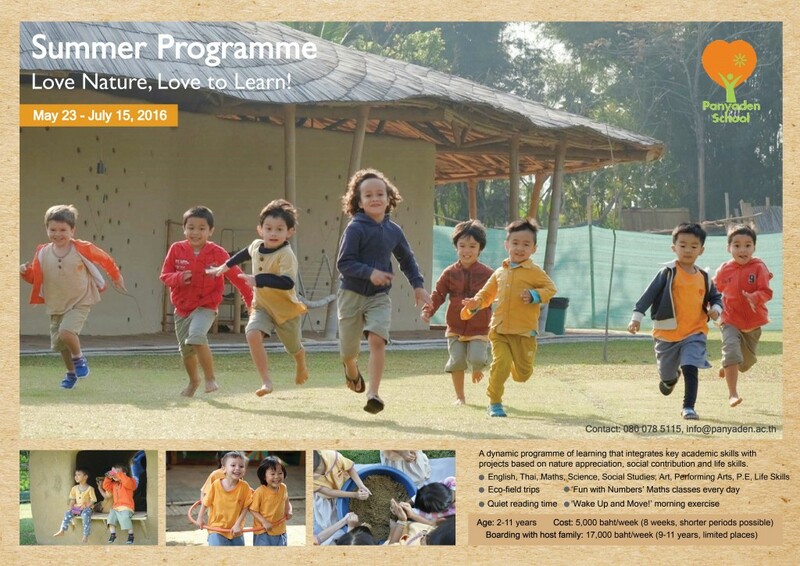 A dynamic programme of learning in Chiang Mai for pre-schoolers and primary students! Integrates key academic skills with projects based on nature appreciation, social contribution and life skills. Sign up now! Phone enquiries: 080 078 5115; email: info@panyaden.ac.th. This entry was posted in Featured Posts, Upcoming Activities and tagged 2016, academic skills, chiang mai, life skills, Love Nature, Love to Learn, May 23 - July 15, nature appreciation, Panyaden School Summer Programme, pre-schoolers, primary students, social contribution.